When the American trio Dawn of Midi released their accomplished 2010 debut album, First, the world had gained another practitioner of minimalist free jazz. Two years in the making, and at a reported cost of thirty thousand dollars, Dysnomia is the follow-up to that promising debut, and builds masterfully on First, delivering an exciting blend of acute syncopation and imaginative instrumental counterpoint. The first track, “Io”, opens with resonating bass which is joined by a building rhythm produced by what might be a piano. Muted and muffled, this part works simultaneously with and against the initial deep bass, which is then underscored by the stabbing rhythm of a rich bass drum. From then on this track and those that follow build into a sparse though satisfyingly complex interaction of the three elements that comprise the classic jazz trio. 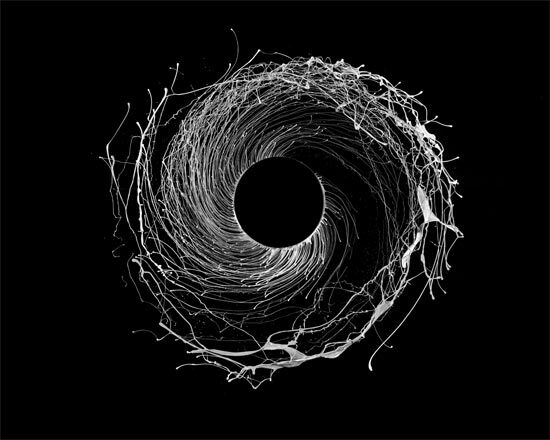 The interplay of drums, bass and piano that make up Dawn of Midi is clever throughout, but in a way that never allows clarity to be lost. Hypnotic, rotating and tightly controlled, a subtle evolution of sound is the watermark that runs through this album. “Io”, “Sinope”, “Atlas”, “Nix”, “Moon”, “Ymir”, “Ijiraq”, “Algol”, “Dysnomia“: each track merges with the next to make an album that is one complete piece of music. 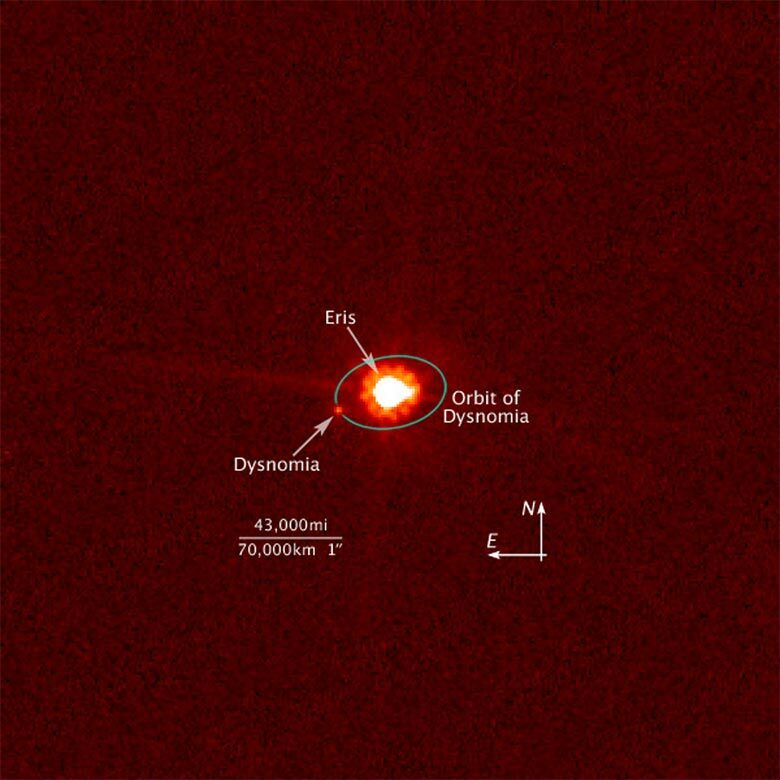 Dysnomia, of the album’s title, is both the daughter of Eris the Greek goddess of chaos, strife and discord and a moon of the dwarf planet Eris. Indeed there is an astronomical and, by connection, a mythological theme carried through all the album’s track titles. Coincidentally, for a music which often relies on the repetition of the same note and on beats scattered with hesitations, “dysnomia”, or anomic aphasia, is also the name of a neurological condition affecting the memory — a severe problem involving a failure to recall words or names. Whatever the inspiration, this is not a music of egotistical solos, as these pieces take flight through the surprising universe of variety that Dawn of Midi conjure with their experiments in push-and-pull that is based around a limited palette of notes. Tilting and delaying beats, artfully stretching and questioning the interplay of time signatures, absorb the listener in a virtuosity of the fewest notes. The group cites influences as diverse as Aphex Twin, The Police, Can and even queen of the games, Ms. Pac-Man. All of these elements can be heard, though perhaps only in whispers and hints. There are also echoes of Fela Kuti and afrobeat in the powerful flow of their intertwined rhythms, where diminuendo and crescendo play an important role in delivering light and shade. Beautifully produced by Rusty Santos, Dysnomia, perhaps reflects the stream-of-consciousness style of the album World I See, by Santos’ own group, The Presents. Whatever the truth, there is clearly a positive creative dynamic at work between producer and band, that manifests itself in confident and perfectly-controlled sounds. This statement sheds, perhaps, an oblique light on the gestalt nature of this project, where the whole is greater than sum of its parts. In the case of Dawn of Midi the form-generating capabilities of our senses operate both with and between the sounds to produce a full and uniform whole. In a world where every gap is occupied and crammed with noise, where nothing is left to the imagination and the frenetic is preeminent, this is no easy achievement. Sometimes the old can be used to shed light on the new and in doing so, deliver surprising results. With their instruments, traditional and steeped in classic jazz norms, Dawn of Midi have attempted to engineer their own take on dance music: to make “music to dance to, with or without shoes”. In doing this, they have produced a beautiful and beguiling album: one to listen to with the lights out and with your eyes closed. Whether you leave your shoes on or not is entirely up to you. Hera is the Queen of the Gods and the goddess of women and marriage. She is also the wife and sister of Zeus. 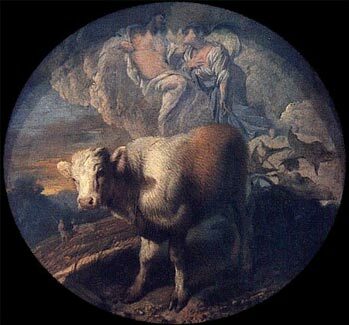 Io refers to her priestess, who Zeus seduced and then turned into a heifer as a means of protection. In order to keep watch over Io, Hera sent the one-hundred-eyed Argus Panoptes to watch over her — but an intervention by Hermes led to Io’s escape. From here, she roamed the world in her heifer form. Hera, was, however, not finished with Io and sent a gadfly to sting her repeatedly. Io is the innermost moon of the four Galilean moons of Jupiter and is the fourth largest moon in the Solar System. Painting by Casdiglione Giovanni Benedetto (1609-1663/65). Io the heifer; Zeus and Hera are seen in the background. One of the daughters Asopus, Sinope was said to have been carried by the Greek god Apollo to the place where the city of the same name later stood. She also bore Apollo a son, named Syrus, who later became King of the Syrians. Sinope is the name of an irregular satellite of Jupiter that was discovered in 1914. It did not receive its present name until 1975 and was sometimes called Hades between 1955 and 1975. 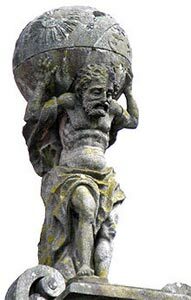 Atlas, one of a second generation of Titans and the brother of Prometheus in Greek legend, was punished by Zeus and made to carry the weight of the heavens (not the Earth as is sometimes thought) on his back. This punishment was handed down after Atlas led a rebellion against Zeus. Atlas is also said to be the god who instructed mankind in the art of astronomy. Atlas is the inner moon of Saturn. Nix has a few possible interpretations. With the spelling Nyx, it refers to the Greek goddess of night who can be found at the beginning of creation. She is the mother of Thanatos, the daemon personification of death, and Hypnos, the daemon personification of sleep. Daemons, in Greek mythology, were benevolent spirits of nature rather than the malignant demons of Christianity. Another possible reading is that of Nix (also Nixe/Nyx/Neck) of German legends. The Nix are water spirits who, although usually apparent in human form, can shape-shift. As river dwelling mermen or merwomen, they draw humans to their watery deaths. 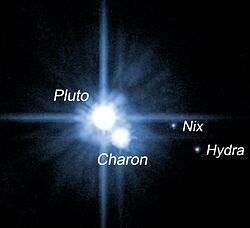 Nix, taken from Greek mythology, is of one of Pluto’s satellites that was discovered in 2005, along with Hydra, by the Hubble Space Telescope. Ymir (pronounced ee-meer) is a primeval hermaphroditic giant and the first creature to come into being from a gaping abyss known as Ginnungagap. He is the ancestor of all jötnar (or jötunn in Old Norse), who are a mythological race living on one of the nine worlds of Norse cosmology. They are separated from Asgard, the world of the Æsir, or principal pantheon in Norse mythology, after being banished by the leading gods. Ymir is a moon of Saturn that was discovered in the year 2000 and named in the year 2003. Ijiraq is a shape-shifting creature of Innuit mythology who kidnaps children and then abandons them in a hidden place. Living between two worlds, they can only be seen from the corner of the eye, in a fleeting moment, and are completely impossible to observe directly. 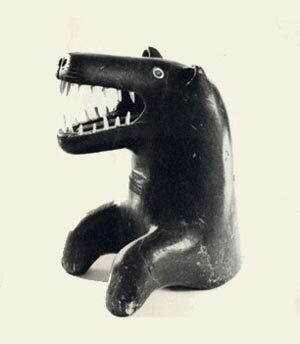 Some Innuit believe that the Ijiraq came into being when their ancestors travelled too far north in search of game and became trapped between the world of living and the dead. 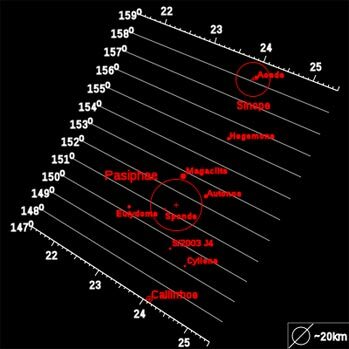 Ijiraq is a small irregular satellite of the planet Saturn; it was discovered in 2000 and named in 2003. 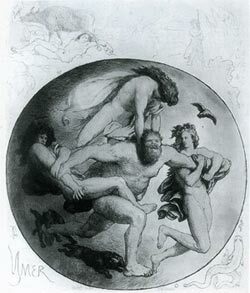 Algol represents the Medusa’s head with which Perseus turned Cetus to stone in Greek mythology. 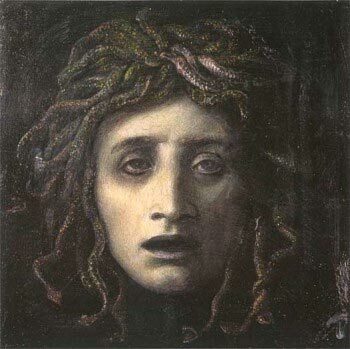 If Medusa was looked upon, her horrifying appearance would turn onlookers to stone. In astronomical terms Algol, the Demon Star, was considered to be unlucky. The brightest star in Perseus, Algol is the prototype eclipsing binary of the type of stars known as Algol stars. An eclipsing binary is a star that appears as a single point of light when observed but is in fact two stars in close orbit around one another. The star takes its name from the Arabic word meaning “the demon’s head” and is said to depict the terrifying snake-covered head of the Medusa monster.